The Tarot is made up of 78 cards, 22 Major arcana, and 56 Minor Arcana cards. The major arcana reflect more intense events and situations through apersons life, where as the minor arcana are represented by the card suits, (hearts/cups/chalices, diamonds/pentacles/stones, wands/clubs/staves, spades/swords/). EAch of the suits is representaitive and indicative of a "personality type" , either earthy, emotional, intellectual or passionate, and speaks of the journeys they make through their life. We can use the tarot as a tool by centring and grounding and drawing up the divine energy to help us to predict and see what is going on within our selves at a subconscious, conscious and "superconscious" level, and through doing so, be prompted to ask ourselves questions and gain greater insight into who and what we are , what we believe in, what makes us "tick" and what we would like to see manifested in our lives. We can use the tarot for our own self, as a prompt to "explore our inner self", or we can use it as a divinitory tool, to "predict the future". However it is essential that we understand - to be able to clearly predict or "divine" from the cards- we need to be totally emotionally detached from the outcome. Many find it too difficult to be totally impartial when predicting for themselves and their loved ones and this is why many psychics and healers or "energy workers" will go outside themselves for a second opinion on something that they feel they have a "gut instinct" on. The tarot is different to Oracle Cards. Oracles tend to offer more "hope and inspiration", or "healing wisdom", which often translates by the "visionary" as "fluff". Tarot is a very earthy, and practical tool, although some people are frightened of them or believe that they carry "negative messages". Negativity is more about how we view the subject - yes they can point out challenges and at times even adversity, but this is a benefit - if a person can see and know that there is the possibliy of adverse conditions coming up - then they can be psychologically and emoitionally prepared IF the prediction comes true. for example - if the cards point to a work related conflict, and that there are "communication problems" the seeker is given an opportunity to work on their communication and establish conflict resolution techniques BEFORE the event transpires and as such "minimse the difficulties". Sometimes in life "stuff" DOES happen. The key is to be as peaceful as possible during this process. Fair warning provides you with an opportunity to be prepared and to even take evasive action at times. From what i can gather - there has been study on them done for centuries. There are many theories on what they mean. There is many "certified tarot courses" also that are available. From my perspective - i developed my relationship with the tarot after being bought a deck by a friend for my birthday and "playing with them". Getting to know the cards, getting a feel for them. I used them as a tool to promote my own self awareness for a number of months before a "stranger bumped into me " and said "you are a psyhchic and i am guided to tell you - you are using the wrong tarot deck for you. Use one of the traditional packs - when you get it .. call me".. and so she did, so i did, and the outcome was an introduction to tarot.. "see the story - feel the story, know the story". The story of the individual tarot cards may change marginally for each particular seeker.. but it is the story of the cards, the layout we use, and the feeling and compassoin actually to the person represented in the card that " creates the connection to the seeker" (in a way). Some years ago a lady mentioned to me that she had applied for a job as manager and this would be a big promotion for her if she was successful and she wanted to know "what is in teh cards?". I did the reading and clearly it showed she woudl be successful, and that the outcome would be very positive. When she didn't get the job, she was very unhappy that i had given her a "false reading". I was also unhappy - it was many years ago and i thought that i had done something "wrong" so i contacted another friend of ours and told her my misgivings and was told "don't feel bad - i told her she would get the job as well, and my guides have told me on the day of the reading that she WAS meant to get the job, also i have asked our other friend who told me she also gave her the same reading - it was in concrete as far as we were concerned that she woudl get the job". So it turned out the lady had visited all three of us, and got the same response, and was very confident of her successful outcome. She acutally lost her job. She was fired as unsuitable to even be an employee there. What we established, is that the lady had become over cocky and confident, and started acting out of character. Where before the readings she had retained a level of humility and demonstrated "good management skills", the readings had made her overconfident, and she had started to "power" over other employees. Had she remained as she was BEFORE the reaidng in her beahaviour and manner, and not changed or altered her thinking or the course of her direction and way of being - she woudl have secured the job. As it was.. she altered the energy around her reaidng and herself and lost a very good opportunity. (Bearing in mind - under spiritual law - nothing is ever really lost.. what is lost will be replaced by equal or better.I am sure once she grew and matured emotionally - a similar opportunity would present, however, she delayed receiving the "blessings"). 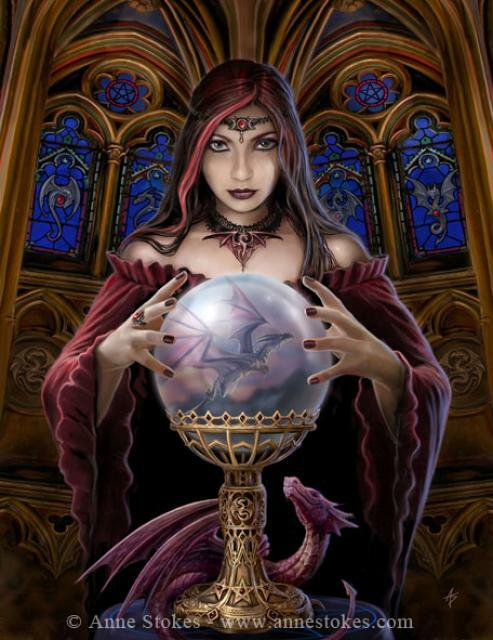 When you get a prediction - i always advise the seeker.. make a note of it, write it down, and then see if it happens. If it happens it is always amazing as a psychic to get positive feedback about it, and gives us a thrill especially if the prediction was a positive one. At the same time - be open to recieving abundance and blessings in your life. REalistically we can only live right NOW in the present moment, the past in readings shows "lessons learned and gained from experience". The present shows current opporutnities for growth, expansion and understanding, while the future shows possiblities and even probabilities at times - but there is no definites with a prediction.